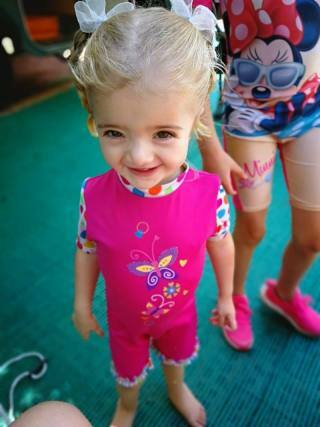 A few days before Christmas, Juanita and Siegfried Dedekind were playing outside with their daughters, Kaylin (2) and Ashley (6), at their family home in South Africa when Kaylin wandered off. Fearing the worst, the Dedekind’s rushed Kaylin to the hospital via ambulance, only to be told that the doctors could not find a pulse, Kaylin was dead. Unwilling to give up, the Dedekind’s cried out to God for His power to revive Kaylin. For His power to push back death and bring their daughter back. It was then that Kaylin’s heart miraculously started beating again. “When I finally saw that heartbeat on the monitor, it was as if my entire life changed,” Siegfried recalled. “I’ve always been a Christian. But that night I gave myself over to God for my child’s life. I’m a reborn Christian now,” Siegfried proclaimed. “It was a terrible time, but we are serving a great God. There was really miracle on miracle,” Siegfried said in regards to Kaylin’s resurrection and supernaturally quick recovery.